The city of Hatsukaichi developed from a small market town, frequented by passing samurais during the Edo period. 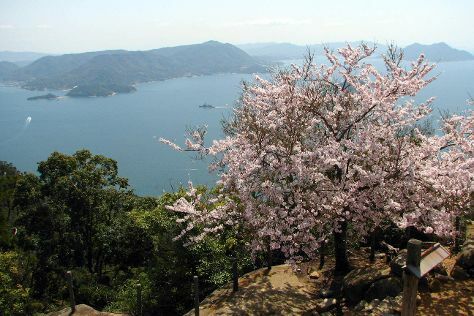 Kick off your visit on the 15th (Fri): steep yourself in history at Itsukushima Shrine Torii, head off the coast to Miyajima, and then take in the awesome beauty at Mt. Misen. For traveler tips, where to stay, photos, and more tourist information, you can read our Hatsukaichi online route maker . Sydney, Australia to Hatsukaichi is an approximately 15.5-hour combination of flight and train. Due to the time zone difference, you'll gain 1 hour traveling from Sydney to Hatsukaichi. In March, Hatsukaichi is much colder than Sydney - with highs of 16°C and lows of 6°C. Wrap up your sightseeing on the 15th (Fri) to allow time to travel to Ishigaki. 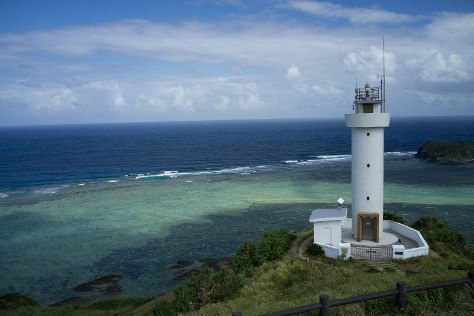 On the 16th (Sat), kick back and relax at Yonehara Beach, then get outside with Cape Hirakubozaki, and then take in panoramic vistas at Tamatorizaki Observatory. Here are some ideas for day two: glide peacefully along the water with some of the best stand-up paddleboarding in the area, then take in panoramic vistas at Maesedake Observation Site, and then tour the pleasant surroundings at Kondoi Beach. To see photos, traveler tips, maps, and tourist information, go to the Ishigaki trip itinerary planner. Traveling by combination of train and flight from Hatsukaichi to Ishigaki takes 6 hours. While traveling from Hatsukaichi, expect somewhat warmer days and warmer nights in Ishigaki, ranging from highs of 26°C to lows of 21°C. Wrap up your sightseeing on the 17th (Sun) early enough to ride a ferry to Iriomote-jima. Escape the urban bustle at Kayaking & Canoeing and Pinaisara Falls. You'll explore the less-touristy side of things at Iriomote Island and Ida no Hama Beach. There's lots more to do: stroll through Nakano Beach, identify plant and animal life at Funauki Village, contemplate the long history of Wasurenaishi, and skim along the rocks with a canyoning and rapelling tour. To see maps, other places to visit, where to stay, and tourist information, refer to the Iriomote-jima online road trip planner . Traveling by ferry from Ishigaki to Iriomote-jima takes an hour. Expect a daytime high around 26°C in March, and nighttime lows around 21°C. Finish your sightseeing early on the 20th (Wed) so you can ride a ferry to Miyakojima. 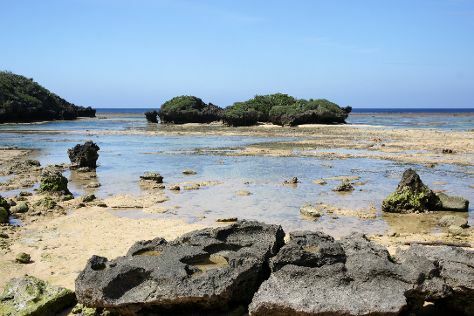 Explore hidden gems such as Aragusuku Beach and Toguchi no Hama. Step out of the city life by going to Shimojiiima Island and Sunayama Beach. There's lots more to do: discover the deep blue sea with a scuba or snorkeling tour, don't miss a visit to Boraga Limestone Cave, take in the views from Kurima Bridge, and stroll through Yonaha Maehama Beach. To find maps, photos, where to stay, and other tourist information, you can read our Miyakojima trip planner . Getting from Iriomote-jima to Miyakojima by ferry takes about 4 hours. In March, plan for daily highs up to 26°C, and evening lows to 20°C. Wrap up your sightseeing on the 23rd (Sat) early enough to travel back home.